Professionals in all walks of marketing, social media, PR, publishing, advertising and IT gathered at the Hilton Marriot Marquis in NYC for an information-packed "DAY 1" of SES New York 2013 Conference and Expo. There was plenty of networking opportunities inbetween choices of 3 out of the 15 session offerings that ranged from SEO Diagnostics and Social Media to Enterprise Search and Convergence Analytics. The event opened with an interesting and topical "Conference Welcome and Opening Keynote" titled "Social TV: How Marketers Can Reach and Engage Audiences by Connecting Television to the Web, Social Media and Mobile" with keynote speaker, Mike Proulx. Proulx, Senior Vice President and Director of Social Media at Hill Holiday who also authored the book "Social TV:" shared his insights and tips on leveraging social TV and other market related topics. A great "DAY 1" intrigued and inspired many top marketers and gave me the opportunity to meet and interview Matthew Roberts, Co-Founder of Linkdex, the innovative data and technology app that optimizes SEO, PR, content marketing and social campaigns. Roberts described his innovative enterprise tool which integrates various information from various marketing matrixes -- i.e., search, social, content and PR -- making it all go to work effectively and efficiently, and all in one place. Otherwise tedious tasks and complex procedures will not only be simplified, but integrated, taking many aspects of marketing, social and PR to a much higher level. Roberts also discussed the importance of "network visualization" and why marketers including public relations professionals, will need to incorporate "network visualization" into their campaigns and programs. Stay tuned for the "One to One" video with Matthew Roberts is posted below. Bookmark this blog and visit frequently. Photo left, Jamie O'Donnell, Co-Founder SEO-PR,(standing) with Matthew Roberts, Co-Founder, Linkdex. Amazing takeaways including video interviews from Linkdex Co-Founder, Matthew Roberts and Top "A-list" PR vet, Greg Jarboe, President, SEO-PR is posted below. Jarboe is also Linkdex PR spokesperson. 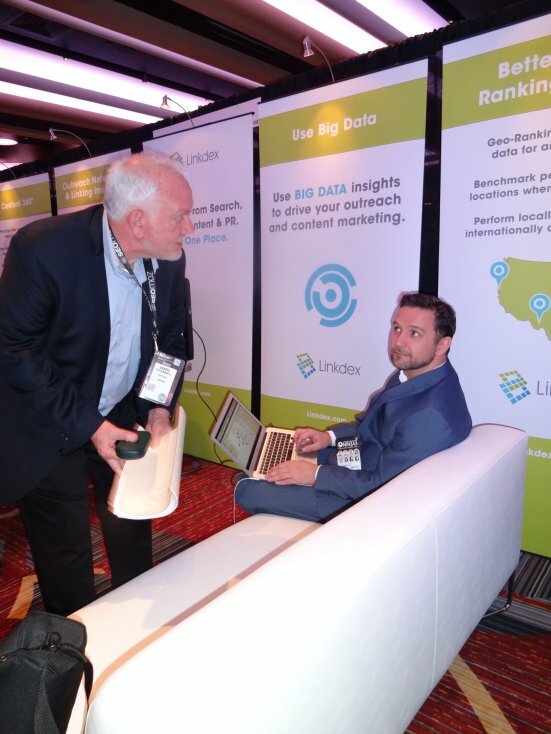 See what you missed at SES New York 2013 with Matt Roberts of Linkdex (see video below). 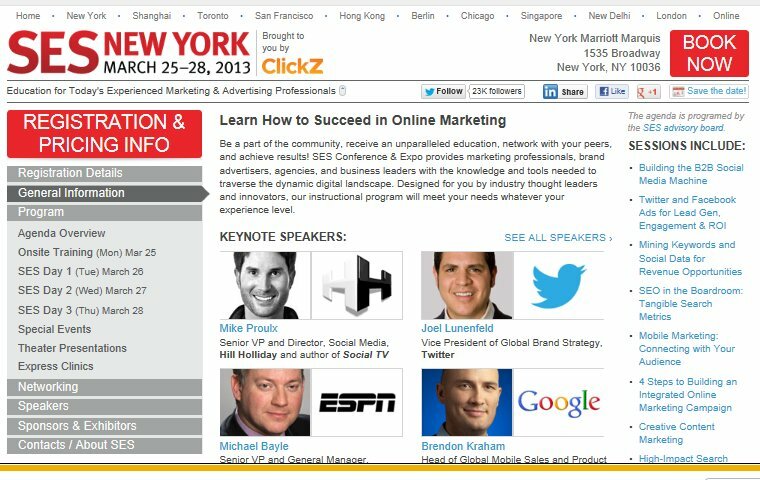 See what you missed at SES New York 2013 with Greg Jarboe of SEO-PR.com (see video below). See what you missed at SES New York 2013 with Eric Enge, CEO, Stone Temple Consulting on moble metrics during the SES keynote luncheon, March 25 (see video below). Audio and video recordings are from interviews by Gloria Buono-Daly, Founder, AllThingsDigitalMarketing.com. Any other photos and materials, will be credited as required. Gloria, it was great meeting you at SES New York 2013. And your blog posts had the greatest reach before, during, and after the event. I was delighted to have the opportunity to speak with you. Thank you so much for sharing your insights! Wishing you continued successes! You have shared a wonderful post!! thank you for and keep it up!